U.S. stocks are headed for a modestly lower open Thursday, following two manufacturing reports that showed further slowing in China and Europe. 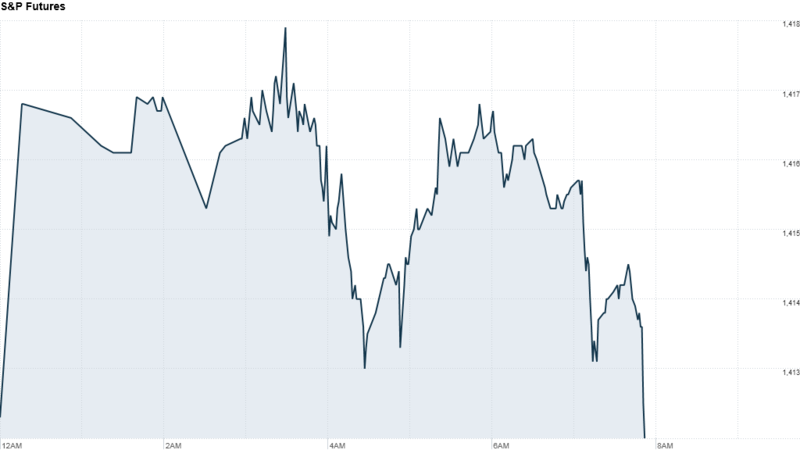 U.S. stock futures were slightly lower after a report showed manufacturing hitting a nine-month low in China. And manufacturing across the eurozone contracted for the seventh month in a row. Investors will be keeping tabs on Europe as French President Francois Hollande and German Chancellor Angela Merkel meet to discuss Greece. Greek Prime Minister Antonis Samaras has reportedly been pushing for a two-year extension of the country's bailout program. Wall Street trading volume is expected to stay light for the rest of August. U.S. stocks ended mixed Wednesday, as minutes from the Federal Reserve's July meeting sparked hope for further stimulus measures. The minutes show the central bank is considering two key measures to boost the U.S. economy. Investors are likely to stay focused on the Fed, with attention on the Kansas City Fed's annual symposium in Jackson Hole, Wyo. next week. World Markets: European stocks turned mixed in afternoon trading. Britain's FTSE 100 added 0.3%, while the DAX in Germany fell 0.1% and France's CAC 40 ticked down 0.3%. Asian markets ended higher. The Shanghai Composite ticked up 0.3%, the Hang Seng in Hong Kong gained 1.2%, and Japan's Nikkei rose 0.5%. Economy: The Labor Department will release its weekly report on first-time unemployment claims at 8:30 a.m. ET. Economists surveyed by Briefing.com expect the claims to remain unchanged from last week at 365,000. New-home sales figures from the Census Bureau are due at 10 a.m. ET. Economists surveyed by Briefing.com expect sales rose to an annual rate of 375,000 in July from 350,000 in June. Companies: Shares of Big Lots (BIG) suffered in premarket trading Thursday, falling nearly 20%. The closeout retailer reports quarterly results Thursday morning. 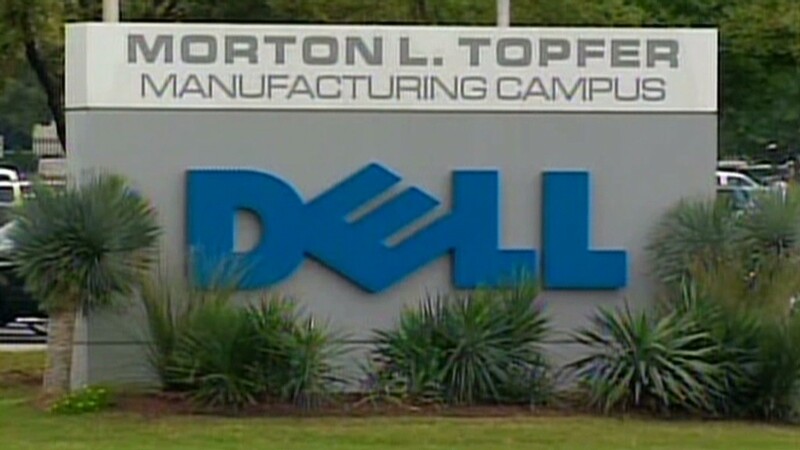 Dell and HP down for the count? Shares of computer maker Hewlett-Packard (HPQ) tumbled more than 4% in premarket trading Wednesday. HP reported better-than-expected quarterly earnings after the close, but issued disappointing sales and revenue forecasts. Currencies and commodities: The dollar lost ground against the euro, but edged higher against the British pound and the Japanese yen. Oil for October delivery gained 20 cents to $97.45 a barrel. Gold futures for December delivery rose 10 cents to $1,616.50 an ounce. Bonds: The price on the benchmark 10-year U.S. Treasury slid, pushing the yield up to 1.72% from 1.69% late Wednesday.